We are excited to introduce our newest addition to the JWH Custom line. The Competitor Bolt Kit doesn’t just look amazing, but performs flawlessly as well. The competitor bolt is CNC machined, drop in ready assembly that features JWH Custom Firing Pin and Extractor installed to ensure the ultimate ignition and extraction. 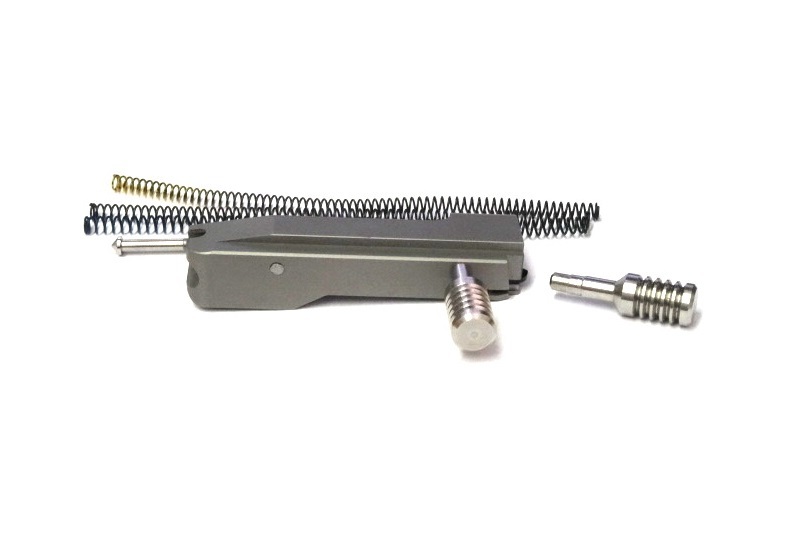 This set includes recoil springs (our progressive springs kit with guide rod) as well as our one of our most popular handle style round stainless (you will receive 2 of these). This is extremely easy to install and it helps decrease lock time to prevent binding and misfires.This is brand new never fired bolt. A Beautiful example of what we offer. Worried that you may have problems with installations? No fear, visit the installation video here. And for a little fun, here is a competitor Brian Lawson winning 1st for all around in this video using our JWH Custom Competitor Bolt!